QxVDI VMware Edition-3D is a Hyper-Converged Infrastructure appliance for graphics applications, powered by VMware virtualization software with the nVidia GRID GPU card. It is a Virtual Desktop Infrastructure(VDI) solution providing excellent graphic performance for knowledge workers, powered users and designers delivering a fast, interactive graphical experience across devices. 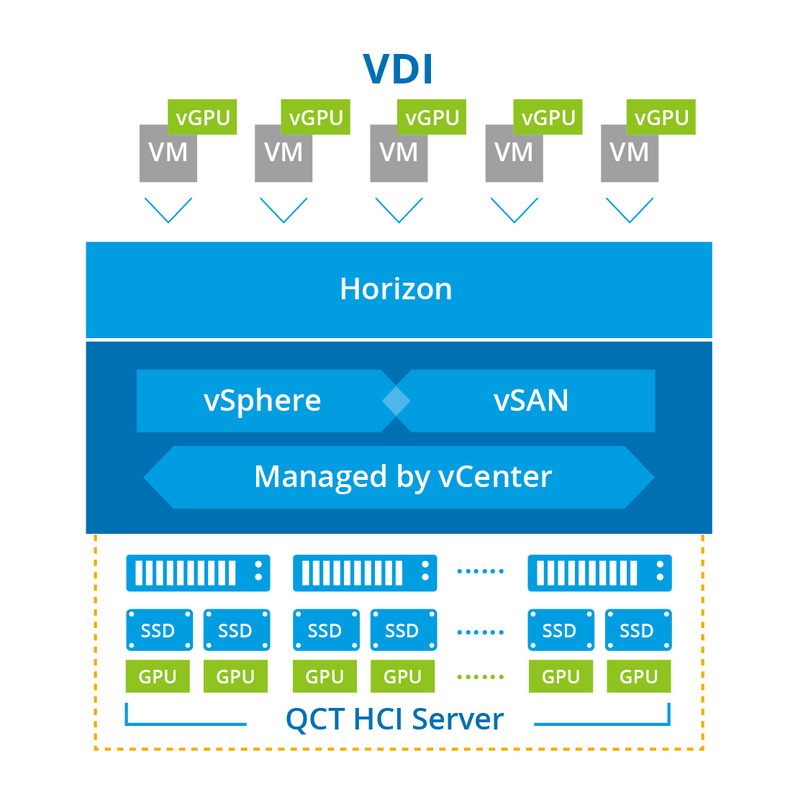 QxVDI VMware Edition-3D uses GPU-compute and storage servers to create an easy-to-deploy building block for the Software-Defined Data Center (SDDC). Its unique value is in a hyper-converged infrastructure with a flexible scale-out architecture, maintaining both cost efficiency and user friendliness. QxVDI VMware Edition-3D is an exceptional product that offers graphic design in VDI tailored to meet customer needs. QxVDI VMware Edition-3D is a VDI solution with the nVidia GRID GPU card. By leveraging the power of nVidia’s GRID technology, QxVDI VMware Edition-3D can provide not only a rich, multimedia user 2D and 3D experience from the cloud to any device, but also maximize the number of users who can access GPU functionality in virtual machines. With today’s increasingly dispersed, mobile workforce, the threat of data loss has never been greater. Centralized management of QxVDI VMware Edition-3D, helps enterprises protect their most valuable data, keeping it secure in the data center while providing just the right level of access to users. It keeps corporate intellectual property safe while boosting productivity across the enterprise. More than 14-years of experience in data center system design engineering and manufacturing, QCT is highly recognized as the world’s leading data center enabler for delivering exceptional quality and reliability. QCT pre-validates and optimizes the solution configuration and provides hardware and software integration service to ease your pain in compatibility issues. And QxVDI VMware Edition –Auto Deployment Tool can drastically shorten implementation time. With this service and tool, VDI implementation is simplified to get faster time to value in your virtual desktop environment. QxVDI VMware Edition-3D is a scalable Software-Defined Data Center (SDDC) building block. 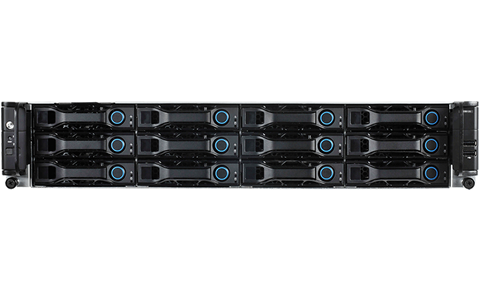 It features hardware stacking and expansion with no downtime of IT services during upgrades, making it ideal for mission-critical applications.